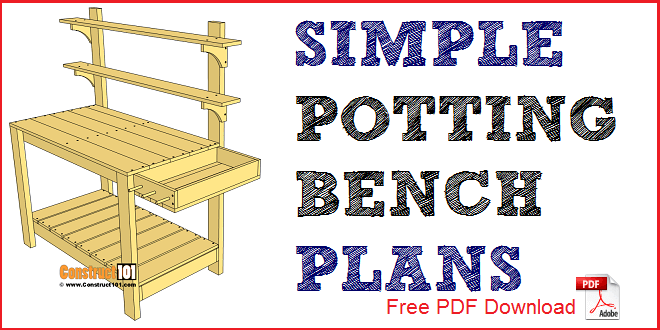 Free build it yourself potting bench plans. 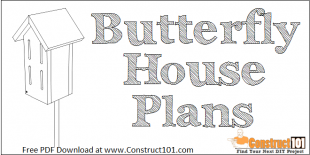 Plans come with a free PDF download, material list with cutting and shopping list, and step-by-step illustrated instructions. Cut two 1×4’s to 5″ long (A). 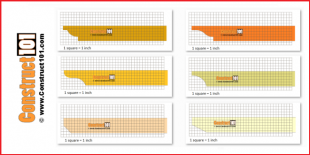 Cut four 1×4’s to 1′ 10 1/2″ long (B). 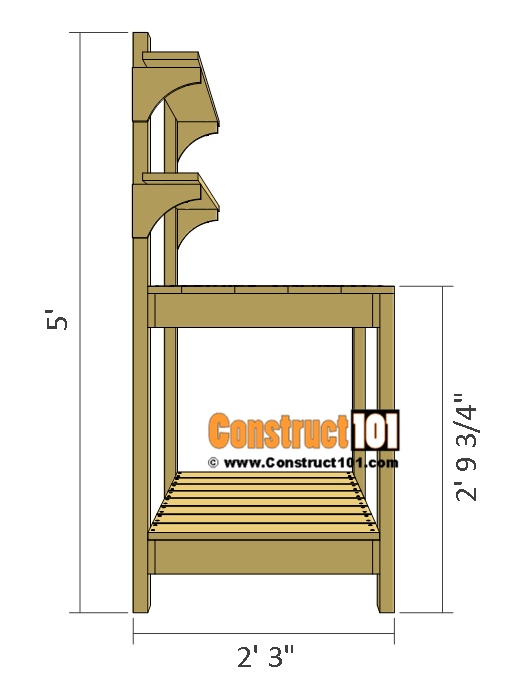 Pre-drill holes and assemble as shown on illustration above using 1 1/4″ deck screws. 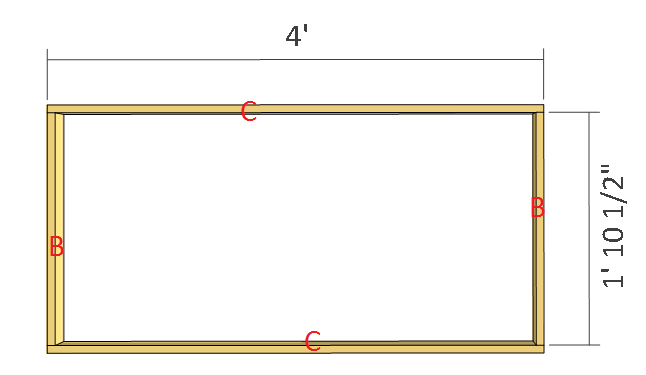 Cut two 1×4’s to 4′ long (C). 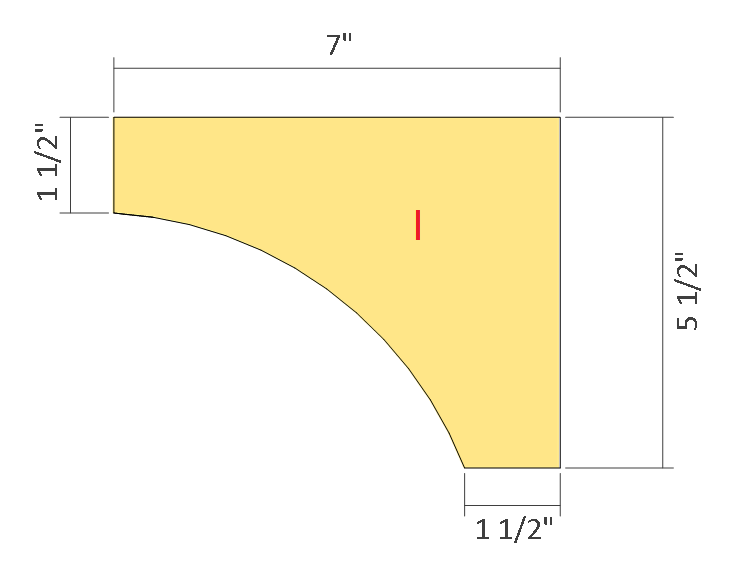 Cut two 1×4’s to 1′ 10 1/2″ long (B). 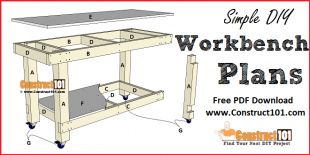 Pre-drill holes and assemble as shown above using 1 1/4″ deck screws. Cut the front and back legs and assemble as shown above. 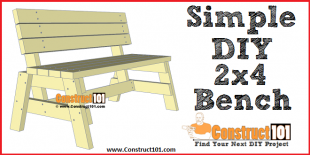 Cut two 2×4’s to 2′ 9″ long (D). 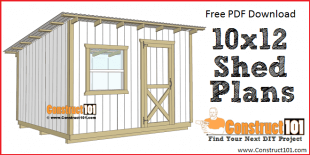 Pre-drill holes and screw 1 1/4″ deck screws through (C) and into (D). 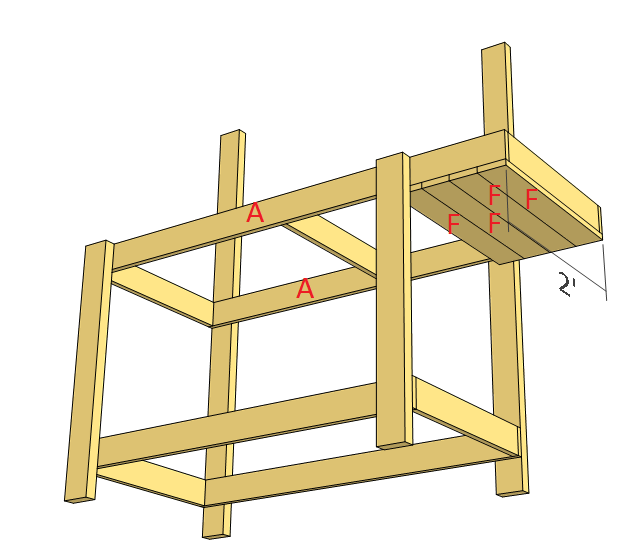 Cut two 2×4’s to 5′ long (E). Pre-drill holes and screw 1 1/4″ deck screws through (C) and into (E). 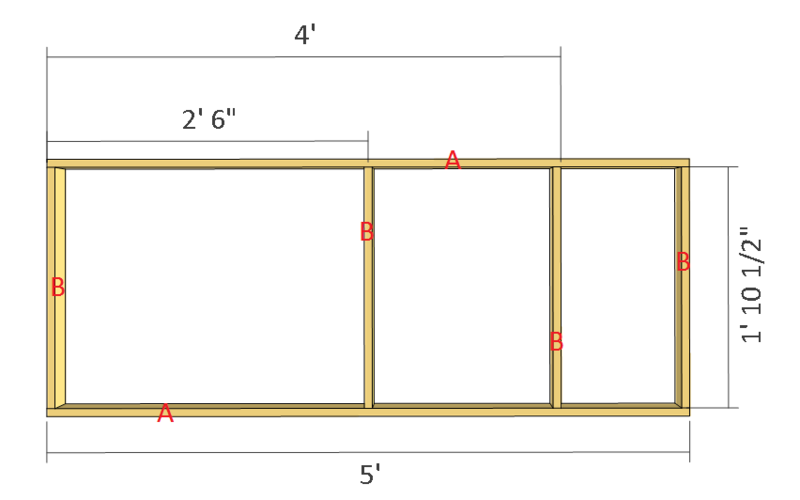 Cut four 1×4’s to 2′ long (F). 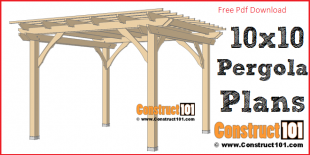 Pre-drill holes and assemble as shown above using 1 1/4″ deck screws. Cut four 1×6’s and one 1×4 to 4′ long (G). 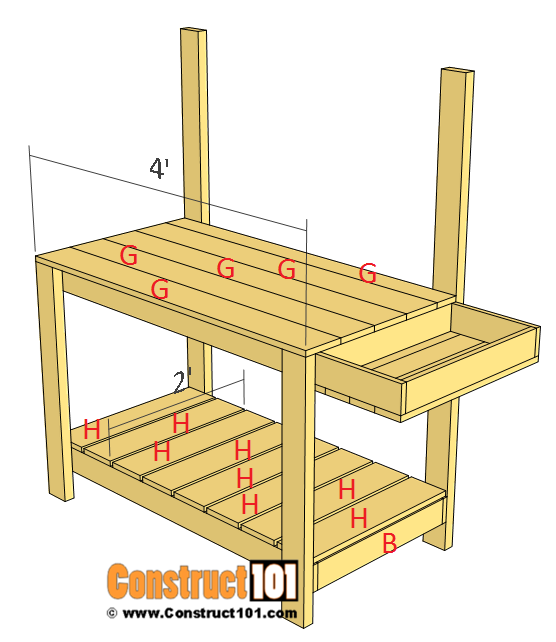 Pre-drill holes and assemble as shown on illustration above using 1 1/4″ deck screws. Cut eight 1×6’s to 2′ long (H). 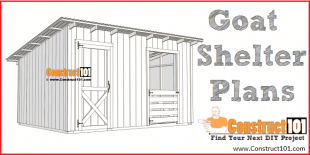 Gap the boards (H) out evenly, pre-drill and assemble as shown on illustration above using 1 1/4″ deck screws. Cut four 1×6’s to 7″ long (I). Cut as shown on illustration above. Cut two 1×6’s to 5′ long (J). 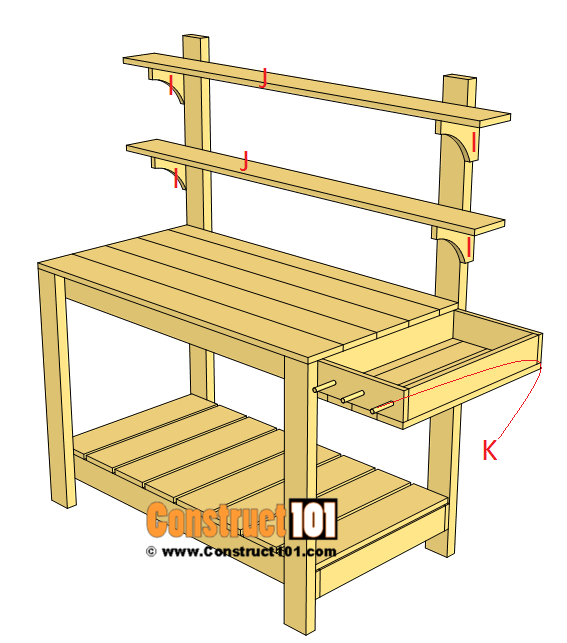 Pre-drill holes and install the shelves as shown on illustration above using 1 1/4″ deck screws. 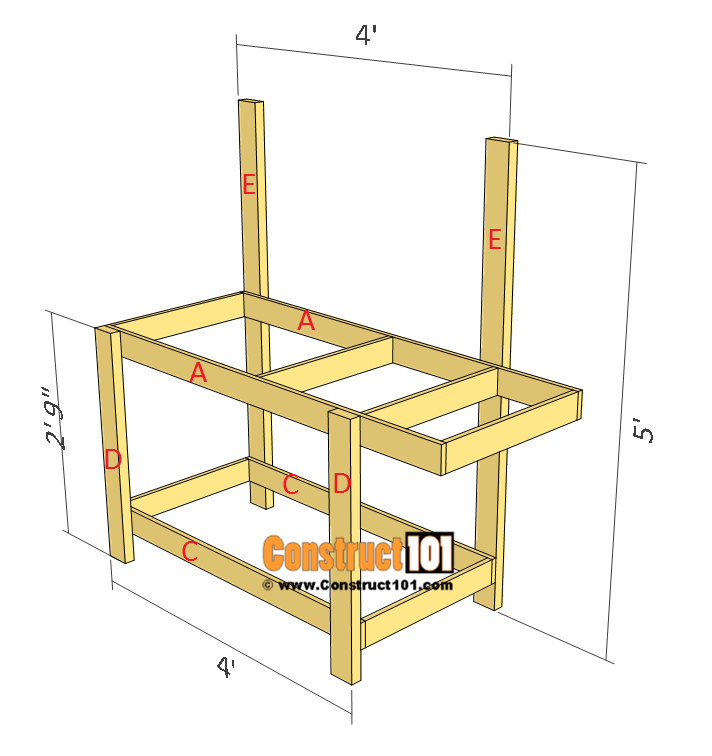 Drill holes and install 1/2 dowels (K). 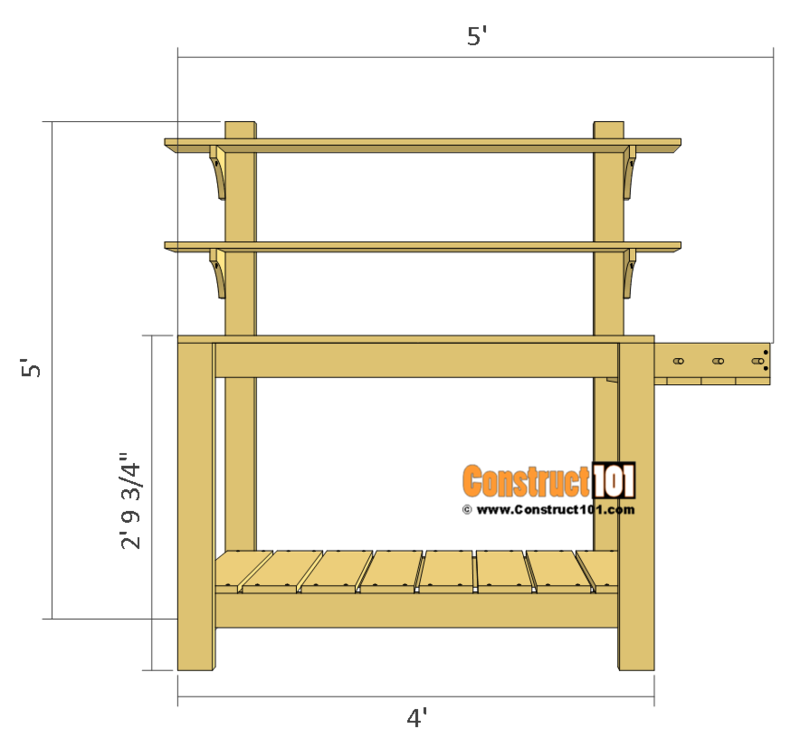 Like these potting bench plans? Let me know, leave me a comment below. Share this link with your friends and your social media, thanks. Love all your plans. Thank you for sharing them. 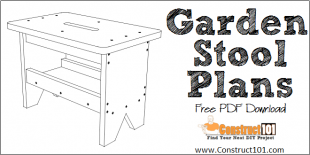 Cannot wait to try the potting bench. It`s just what I needed a set of plans. I build one last year must harder to build then this one. Thanks for the set of plans. 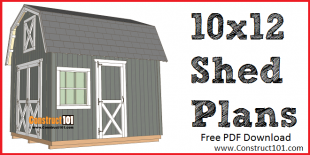 nice, straight forward building plans, I look forward to making this!